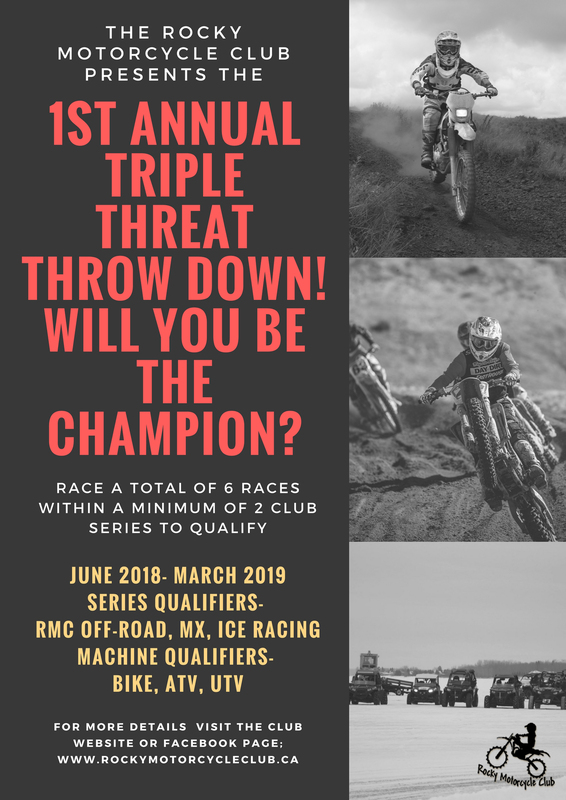 This year the Rocky Motorcycle Club will begin hosting the annual Triple Threat Throw Down Challenge! Purpose: The challenge is to encourage cross-over in the 3 different series our club runs. How to Qualify: You must race a minimum of 6 races within 2 of the 3 different series our club hosts. All racers that meet this criteria will be entered. 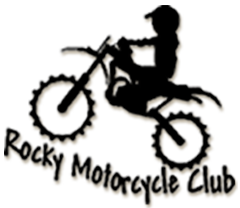 You may ride a dirtbike in one series and a quad or UTV in another series. Points will be calculated based on RMC points system. Ice racing daily totals will be converted into both the CMA points format as well as RMC format for tracking purposes. Winner: Will receive a trophy that they may take home and display until the following AGM meeting. The AGM meeting is held the first Tuesday in March. Every year a new plaque with the year and the racer will be added to the trophy. The winners will also receive a plaque that will be theirs to keep. The trophy must be returned to the board of executives by the AGM meeting to have the new plaque added. The top 6 race finishes within the minimum 2 series for each rider will be used to calculate points standings. Racers that choose to race all 3 series will automatically be given 2 bonus points! Classes will consist of the following: Adult Men, Adult Ladies, Youth/Kids, Peewee. Champions will be announced at the Year End Awards Banquet in March.